Based on these conclusions, I started writing the CSSX client-side library. To make the CSSX library available, either include the cssx.min.js file on your page or install the npm module by running npm install cssx. If you have a build process, then you’ll probably be interested in the npm package. An online demo is available on GitHub. You can see CSSX in action there. Instead of header.descendant, we may use header.d. It would be annoying to have to write descendant all of the time; so, a .d shortcut exists. 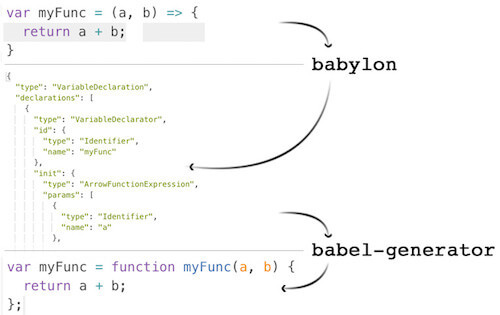 This API may be used to create media queries or @keyframes definitions. In theory, this is enough to produce a Sass-like output. There is also the .n shortcut, instead of .nested. So far, we’ve seen how to produce valid CSS that gets applied to the page at runtime. However, writing styles like that takes a lot of time, and even though our code has a good structure, it’s not as nice as writing vanilla CSS. Of course, this comes at a cost: one more step in our build process, more configuration and more things to think about. But, to be honest, I’m ready to trade that for better code organization and scalability. 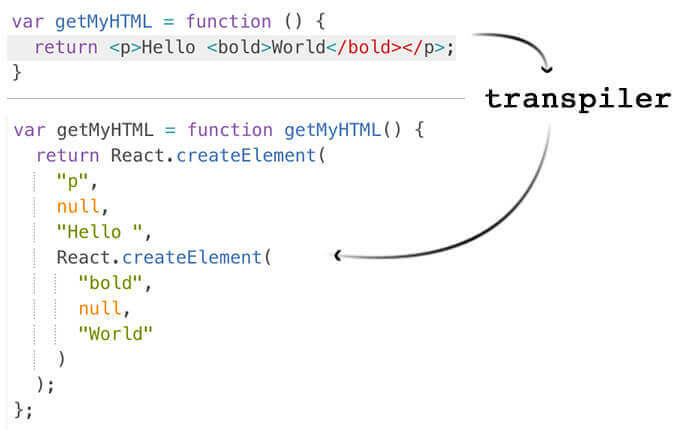 JSX simply makes our life better by hiding the complexity of managing HTML templates. 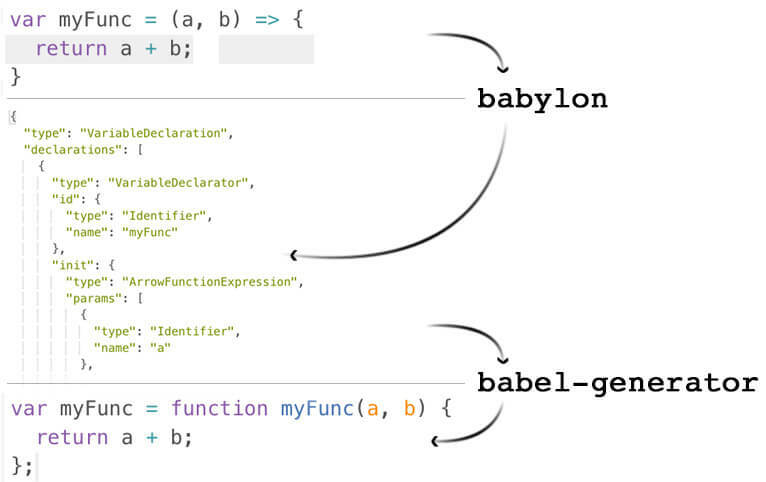 So, all I had to do is see how Babylon understands JSX and do the same for CSS. The module is written like so, so it allows extension from the outside. In fact, almost anything can be changed. JSX is a plugin there, and I was keen to create one for CSSX. I knew about AST and how helpful it can be, but I never spent time learning how to generate one. It is basically a process of reading small chunks (or tokens) of the code, one by one. We have a bunch of assertions trying to form a meaningful sequence of tokens. If something is recognized, then we define a context and continue parsing until we exit the current context and continue with another one. 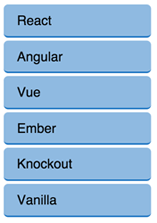 Of course, there are many edge cases that have to be covered. And the fun part is that we can’t extend the parser until we know every little detail about it. It took me a couple of weeks to read and really understand what is going on there. And we have the same result in the end. Let’s see a couple of simple transformations. If you scroll up, you will see that that’s exactly what we need in the CSSX client-side library. If we operated with a lot of those, then it would be nice to use vanilla CSS. Note that we are defining a new style sheet — cssx(’_1’) — I should clarify that if we run this code twice, we won’t be creating an additional <style> tag. We’d be using the same one because cssx() receives the same ID (_1) and returns the same style sheet object. If we added more CSS rules, we’d see more _1.add() lines. 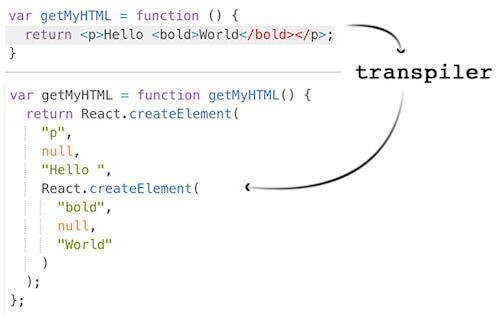 I should mention that the self-invoking function around the transpiled code is needed to keep the right scope. The code we place inside the so-called dynamic expressions should use the right context. Otherwise, we’d probably be requesting access to undefined variables or would be reading from the global scope. The other reason to use a closure is to avoid collisions with other parts of our application. Our navigation will be made up of an unordered list of items. Every item will contain an <a> tag, which represents the clickable area. The first thing we have to do is render links on the page. Let’s say that the items in the list will come to the component as an items property. We’ll loop through them and create <li> tags. As it is, the component is ready for rendering. Now, let’s add some CSSX and define the initial look of the items. A good place to do this is the componentWillMount function because it’s the method that is fired before the component gets on the page. The (w) in front of the properties generates a prefixed version. So, we have to clear the style sheet before styling the clicked item. Notice that we’ve specified an ID of the style sheet: selected. This is important; otherwise, we’d get a different style sheet every time. With the change above, our example works exactly as the animated GIF at the beginning of this section. We don’t have to deal with additional CSS classes. There is no interaction with the DOM because we don’t have to add or remove CSS classes. We have real dynamic CSS, tightly coupled with the logic of the component. In the last year, I’ve used React heavily, and I can say that JSX is not bad at all. In fact, it improves maintainability and shortens the time spent getting into a new project. I’m still experimenting with CSSX. I do see similarities with JSX in the workflow and result. If you want to see how it works, check out the demo.